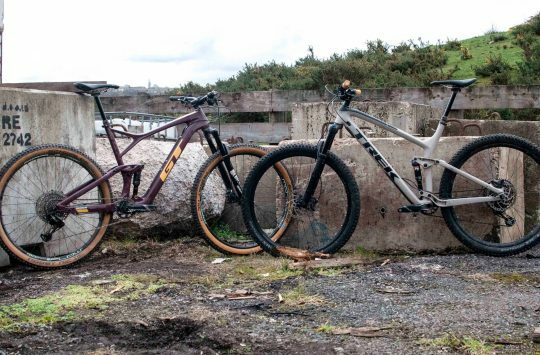 Being just the second round of the 2018 Downhill World Cup, there are still new and prototype bikes popping up that we haven’t yet seen in the flesh, and seeing as we’re top cycling journalists, we’ve arrived at Fort William early to capture these spy shots just for you. 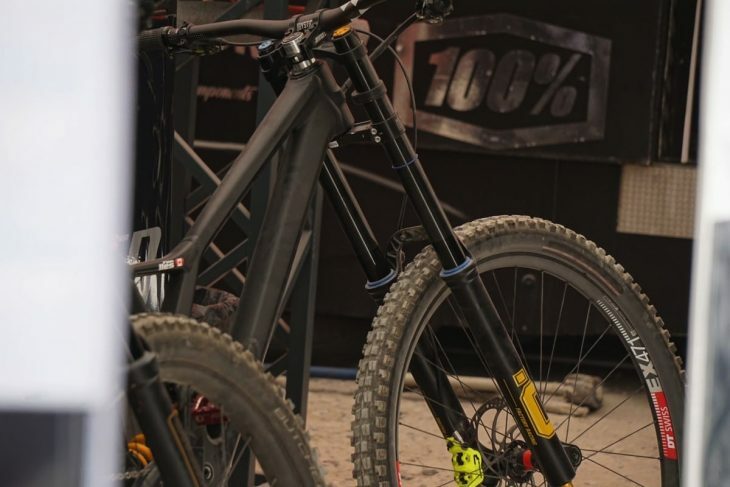 So far we’ve spotted 9 prototype bikes, including the Pole Machine 200, and while teams have been doing their best to keep them away from our prying eyes, we’ve already gotten away with a few snaps. Probably one of the most radical designs on the race circuit. Probably one of the most radical downhill bikes to race this weekend is this Polygon prototype. 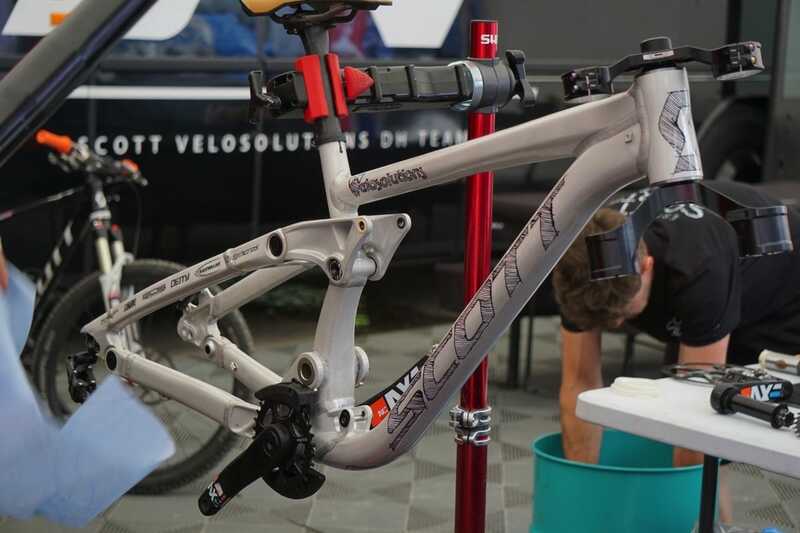 We don’t know much at all about this bike and the mechanics weren’t giving away any clues, but visually the bike appears to share the same suspension and overall design as the Polygon Square One, and indeed the Marin Wolf Ridge too. It’s not a bearing or a strut. So what is it? 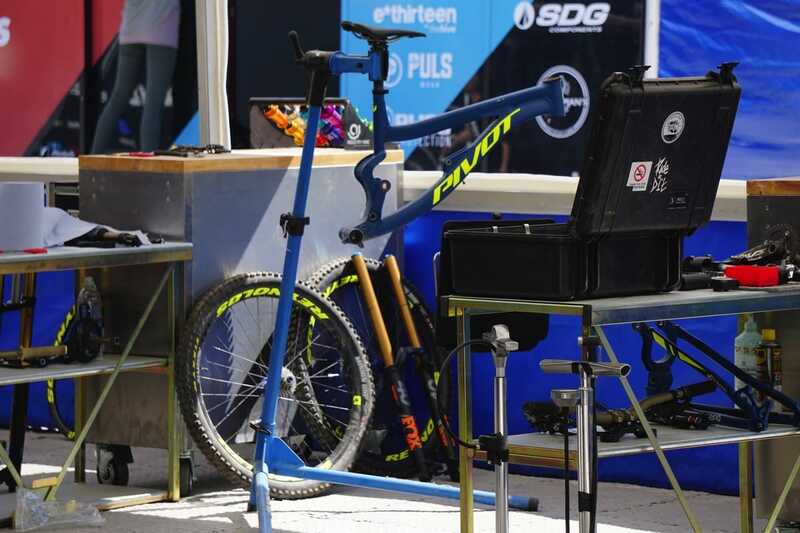 Polygon certainly have an interesting concept and it looks totally different from anything else in the pits, but what really matters is how well it handles this punishing World Cup DH over the weekend. Something that Tracey and Mick Hannah will be finding out for us. A production version of the V10 29er. To be fair, the V10 that Loris Vergier and Luca Shaw will be racing this weekend isn’t a prototype and is, in fact, the first production-ready version of the 29er V10. And that’s kind of a big deal. 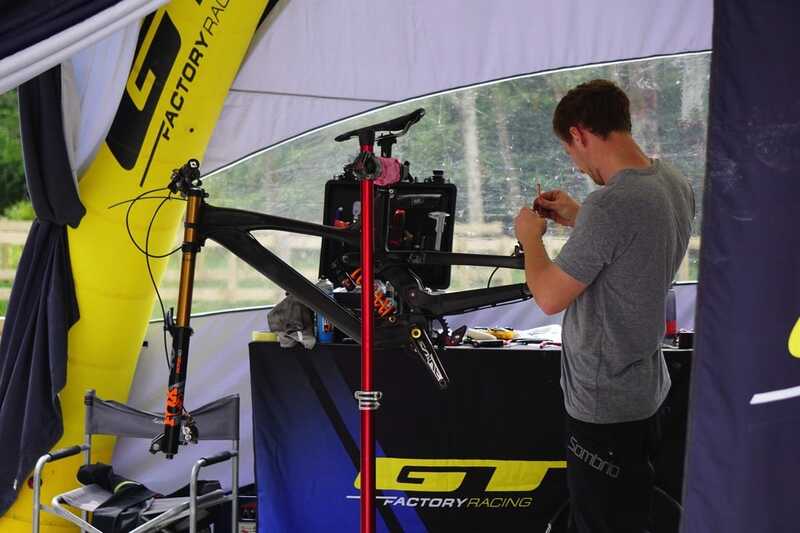 Loris Vergier will be using an air shock at Fort William. Last year the Syndicate raced on V10 frames that featured a modified linkage and swingarm in order to fit larger 29in wheels. 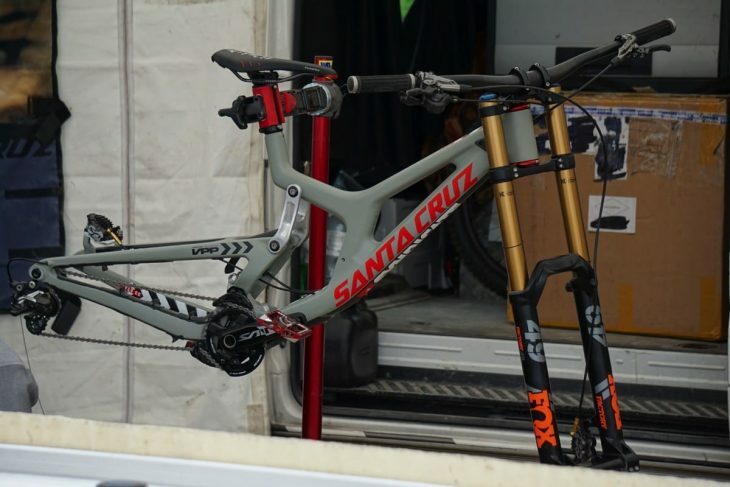 After seeing Greg Minnaar’s success on that prototype, Santa Cruz has made the natural step to build a whole new bike based on what they learned over the previous year. To the casual observer the new V10 doesn’t look all that different, but on closer inspection the frame sports a kinked downtube and a much lower standover height. 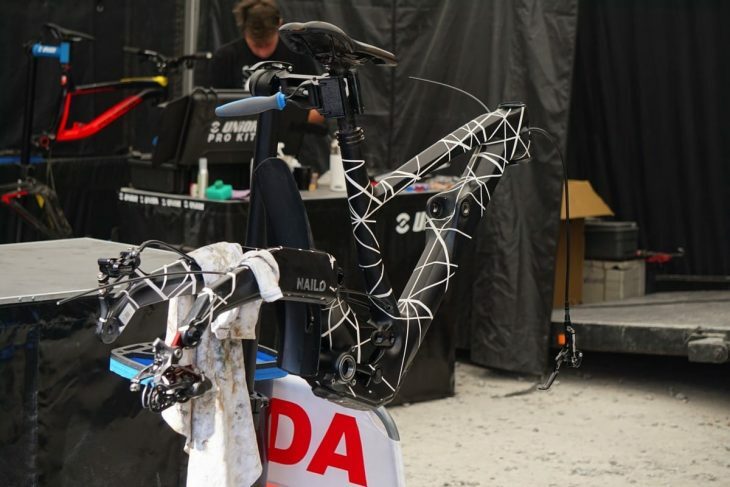 We believe that the bike seen here with a coil shock is Luca’s ride while Vergier will use an air shock for this round of the world cup. 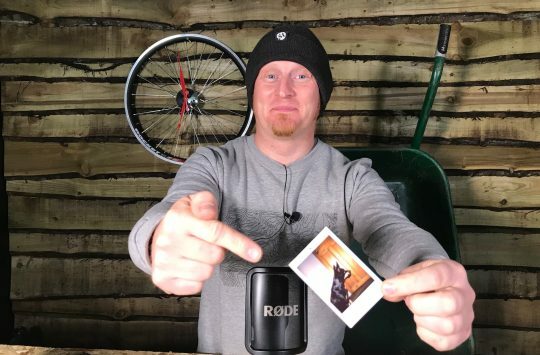 The previous generation Gambler was a proven downhill bike that didn’t mind a spot of freeride, but as with all things, the design was getting a little long in the tooth and it was time to build something new. “Hand Drawn” decals look great. The new Gambler, which we see here with “hand drawn” graphics is a “stage 1” prototype that may or may not see a few changes before it goes into production. We don’t really know much about the suspension other than it uses a more conventional four-bar linkage design that is driven by a BOS rear shock. There’s also an interesting alloy adapter at the lower end of the shock that attaches to the frame via a flip chip. The flip chip means that the geometry and bottom bracket height can be easily tweaked, but more than that, the bike will run either 27.5in or 29in wheels. There’s more tweaking to be had at the back end with wheelbase choices too. Scott also has lots of new sponsors for 2018 including BOS with the stunning Obsys USD fork, DMR for cranks and TRP on brake duty. GT has also gone for a new design. GT is another brand that has chosen 2018 as the year to retire an older suspension platform for something new, and like Scott they’ve actually gone for a simpler design. The new GT uses a 4 bar linkage with the main pivot quite high up. No more iDrive on GT downhill bikes. 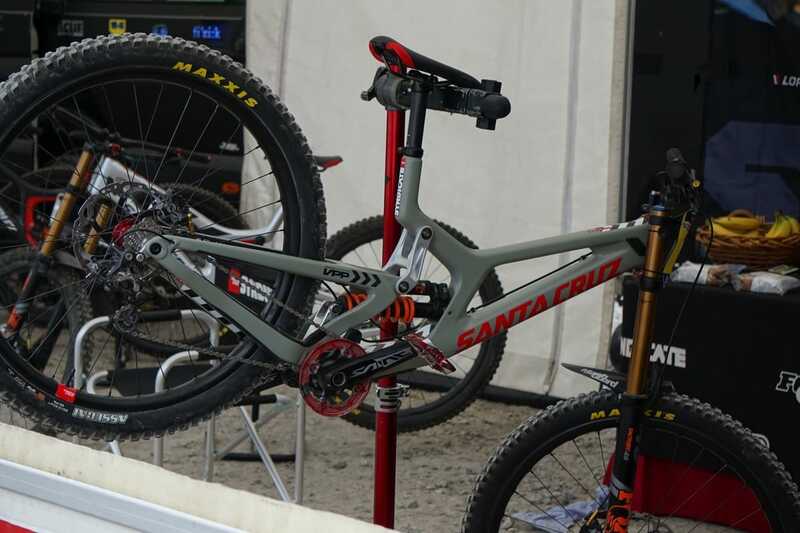 We’re unsure if this new bike will also be called the Fury or if it will get a new name, but what we can see is a full Shimano Saint drivetrain, Fox suspension front and rear, and Stan’s Flow wheels. But’s about all we could see from our vantage point. We’ve already done a whole feature on the CNC machined marvel, but couldn’t resist to add it in here too. 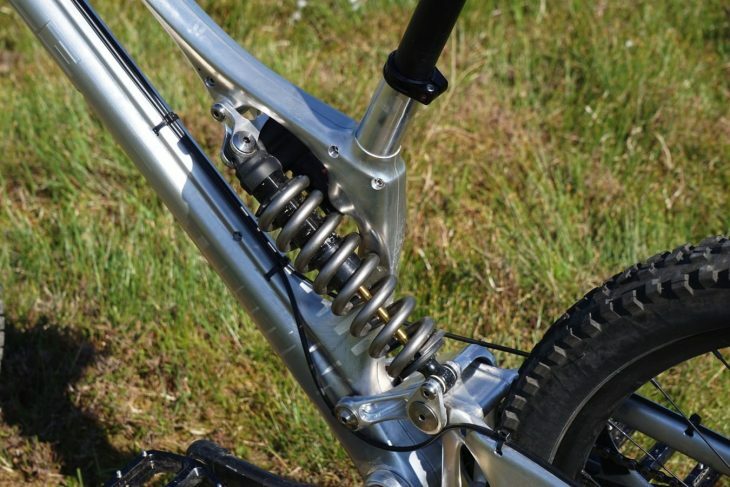 The Pole Machine 200 is another downhill bike based on a long travel Enduro 29er bike (see Polygon above), but also uses a very unique manufacturing process that sees two highly machined alloy halves bonded and bolted together. This Machine 200 will be ridden by Isak Leivsson, who has built his Pole with Fox suspension, SRAM drivetrain and brakes and a pair of Rental Fatbars that have been modified to a whopping 830mm wide! You can read more about it here. The new Kona Operator will handle both 27.5 and 29in wheels. To follow on from the sighting of the carbon 29er Process earlier this year, Kona has also produced a full carbon Operator. 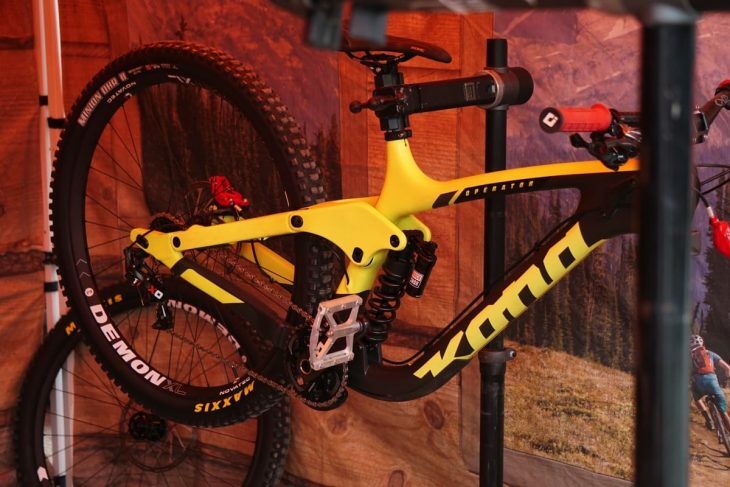 This isn’t the first time that Kona has released a carbon downhill race bike, but over the past few years, the Canadian bike makers have concentrated on alloy rather than plastic fantastic. The black and yellow bike spotted in the Kona pits today runs on 29in wheels making it the first Kona DH bike to roll on wagon wheels, but there’s a little more to it than that. Look at the size of that rocker! 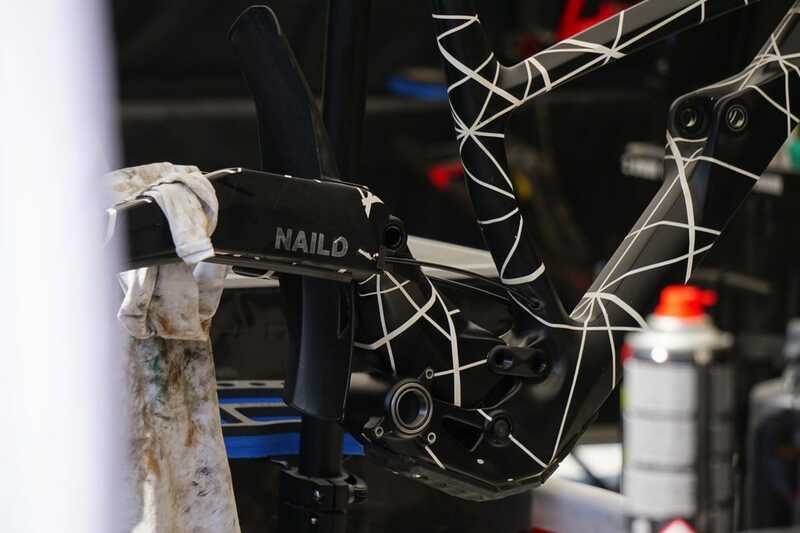 The Carbon Operator has been designed with adjustability in mind so that one bike can truly tackle all DH courses. With this in mind, the frame comes with a bunch of features that allow the rider to adjust the geometry, increase reach, drop the BB height and even run smaller 27.5in wheels. We’ve spoken to Kona team rider Connor Fearon about the new Operator, so check out the full interview here. Nukeproof Pulse gets the 29er upgrade. 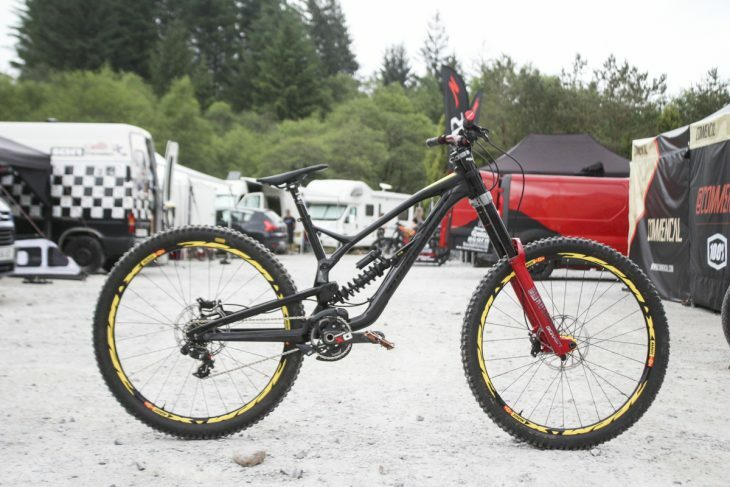 Although Chain Reaction decided to quit world cup downhill racing after Sam Hill’s decision to focus on enduro, Nukeproof is still on site at Fort William and we had the chance to look at their new downhill bike. Same single-pivot suspension platform, bigger wheels. The Pulse 29er will taste its first dirt at Fort William this weekend, and while the bike shown here is a prototype, it isn’t a simple test mule that uses a butchered 27.5in frame. 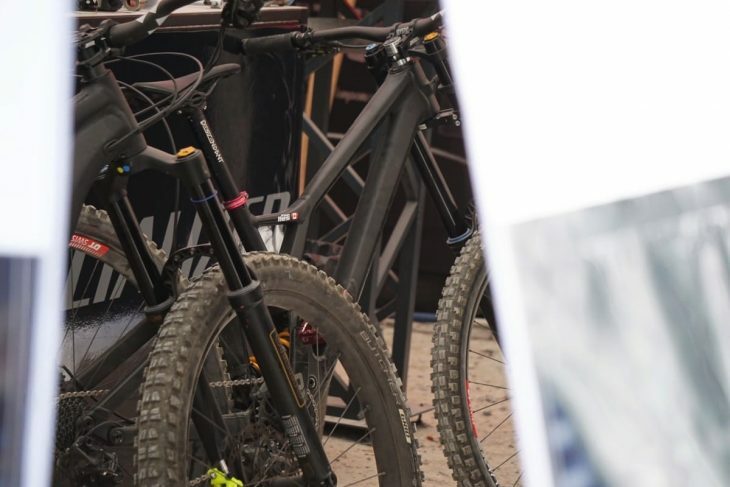 Nukeproof has made a purpose-built frame for 29in wheels with a different size shock compared to it’s smaller wheeled brother. 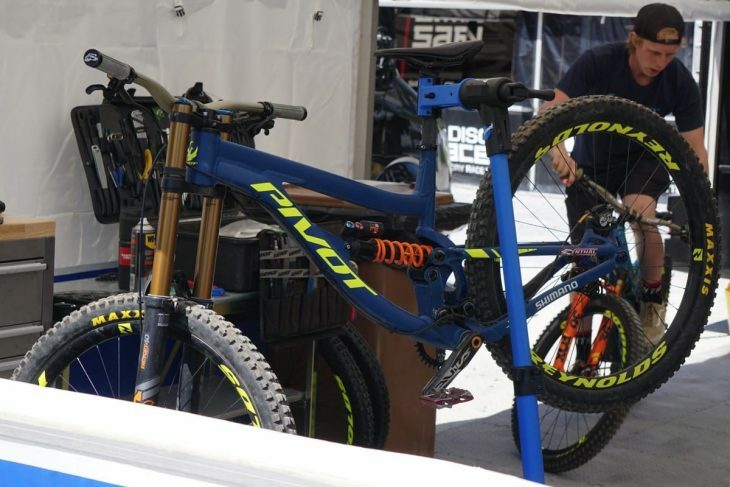 Alloy, not carbon like the current Phoenix downhill bike. 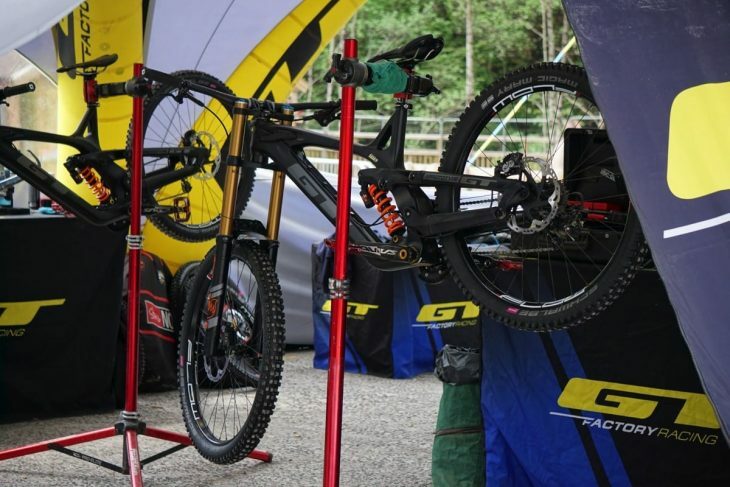 This isn’t the first time that we’ve seen a 29er downhill bike from Pivot (it was actually Fort William last year where we saw that original modified Phoenix 29er), but this is the first time that one will be raced at Fort William. 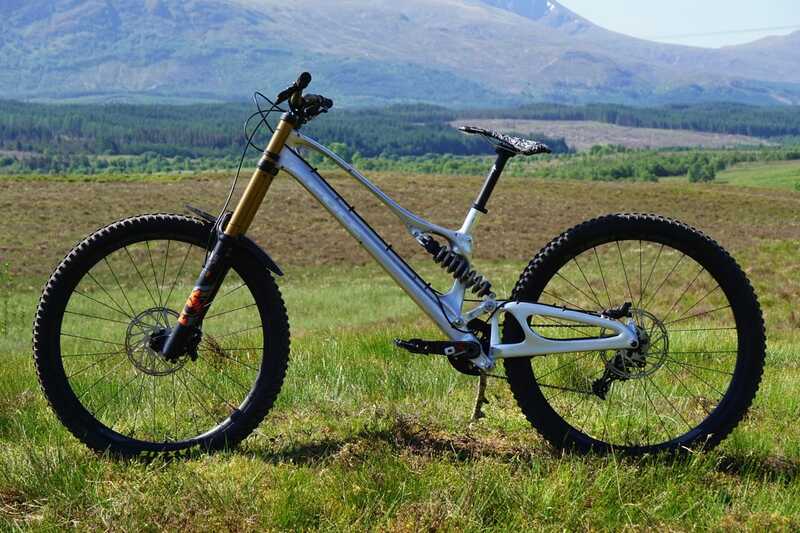 The Pivot team arrived at the Nevis Range earlier, and we actually spotted this bike on Wednesday. The dark blue alloy frame boasts a burly front end with the top and down tubes meeting way ahead of the head tube and receiving additional bracing with a welded on gusset. Also of note is the different suspension design compared to the current Phoenix Carbon. The dw_link platform remains, but the shock is attached directly to the upper link, rather than using a shock shuttle. 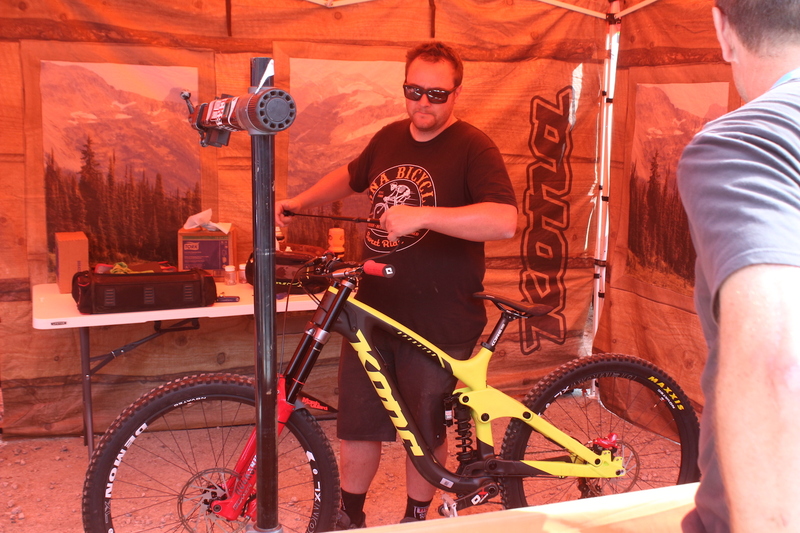 The team bike here will be built up with Fox suspension, Reynolds wheels, and Renthal bars. 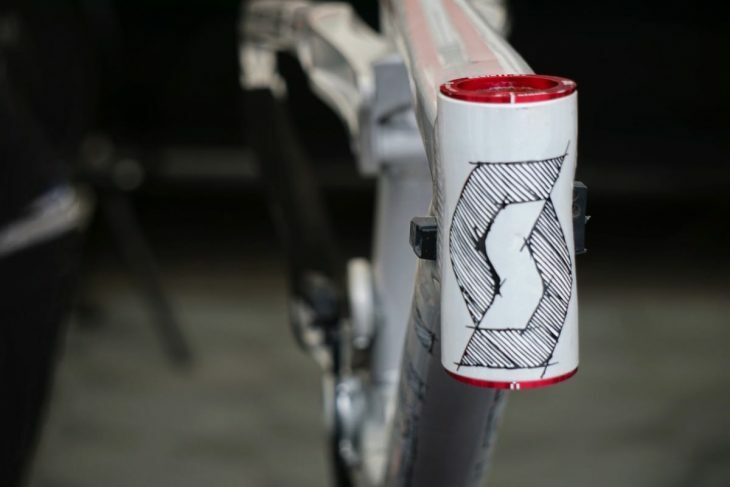 Specialized’s mechanics have been very secretive with their new bike, but thanks to an open flap and a gust of wind we managed to bag a few photos of young Finn Iles’ bike. We really need to get a better look at this. As we were quite a distance away from the bike we can’t really comment too much about it except that it looks a lot more like the old Big Hit design instead of the current Demo. 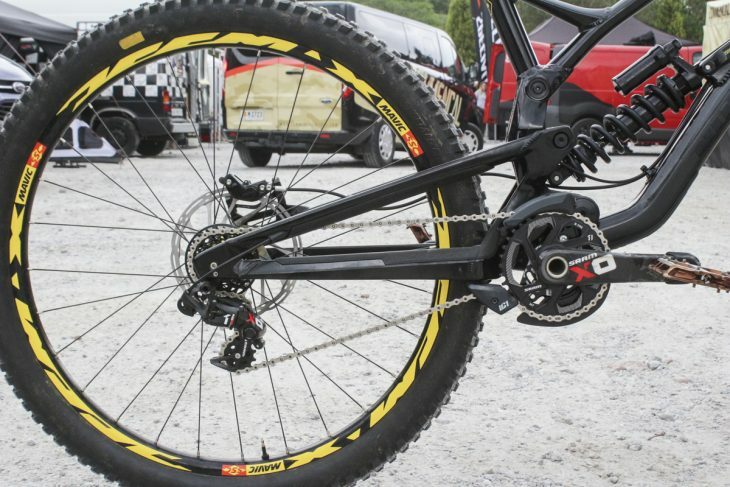 Specialized is also rolling along on 29in wheels with Swedish suspension maestros, Ohlins, taking care of the squish. 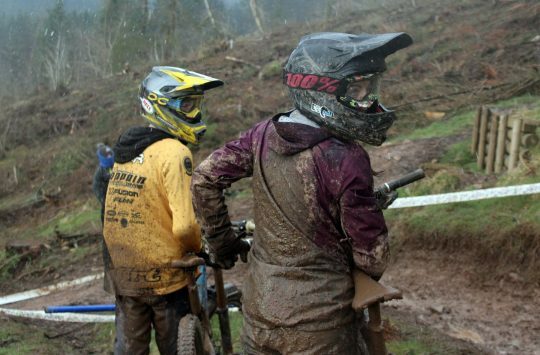 For more Fort William coverage check out our interview with Rachel Atherton here, and keep your eyes peeled for upcoming chats with Brendan Fairclough, Claudio Caluori, plus the usual race reports.